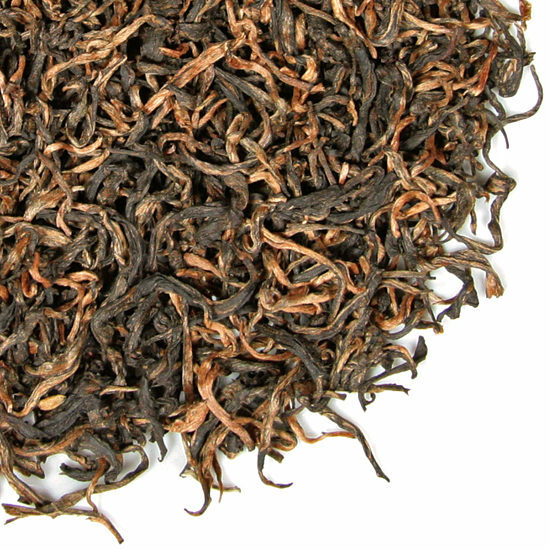 An exception to this dating are the spring teas from Yunnan which, because of the warm, semi-tropical weather in that region in spring, can be harvested as early as the end of February. Autumnal Pluck: In some locations, in some years, certain sub-varieties of tea bushes will produce an autumn flush, which will usually be quite concentrated in flavor, as it reflects the growth and maturity that the plants have experienced during that year’s growing season. 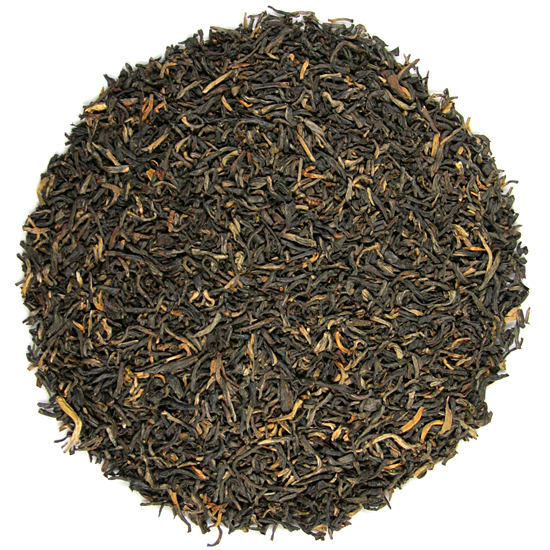 Several locations that are noted for their Autumnal Flush of black tea are Yunnan Province, China; Darjeeling, India; Nilgiri, India; and for oolong Fujian Province, China; and Taiwan. The bushes and trees that are plucked to make out Yunnan teas represent different generations of plants and are comprised of many unique cultivars found growing throughout the heavily forested mountain tea growing regions of Yunnan. These varietals and cultivars are broad-leafed varieties – known collectively as dayeh – that produce large, long leaves that reflect the richness of their forested habitat and the plants close genetic connection to the wild tea trees of Assam India – Camelis assamica. This habitat and size is one of the reasons why Yunnan black teas are so rich and full in the mouth. This is another special dian hong from Wuliang Shan, a mountainous nature preserve that supports old growth tea forest areas. This dian hong has plenty of buds and is a mao feng pluck (a bud and two leaves). The tea is made from ‘old tea tree’ leaf materials – evidenced in the impressive and beautiful size of the tea leaves. 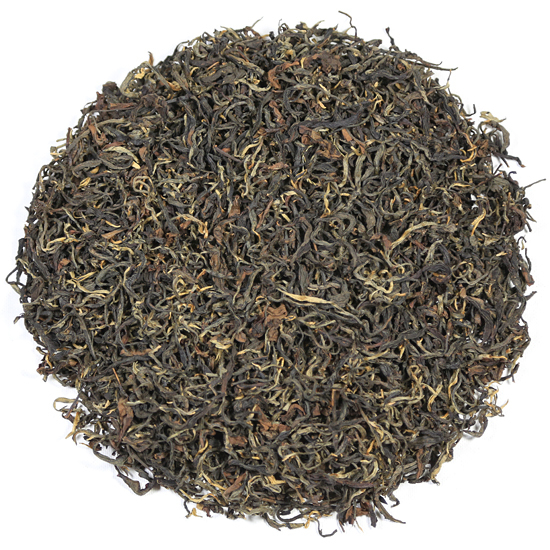 The flavor of this tea is rich, creamy, well-balanced and satisfying. The aroma of the leaf is soft and has the sweet aroma of fresh baked pound cake or coffee cake. 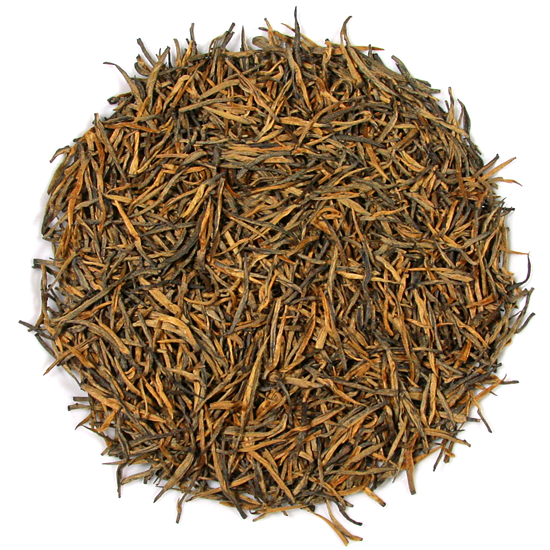 We love Yunnan black teas, especially teas from this area. With no resting under its belt at this time, this dian hong has yet to develop the cascade of buttery, caramel flavor notes (that it will in approximately a year! ). With just a hint of raisins, toast, bananas foster and fruity-coffee flavors showing at this still-youthful stage of its development, there is much to look forward to with this leaf. Buy as much as you can and put it in a safe, stable environment and you will have a great tea for many years. Even most ‘tea-resistant’ coffee-drinkers love this tea – and we know that it is just fine with a little milk, too. But for truest flavor, drink it as the locals in Yunnan do – plain. 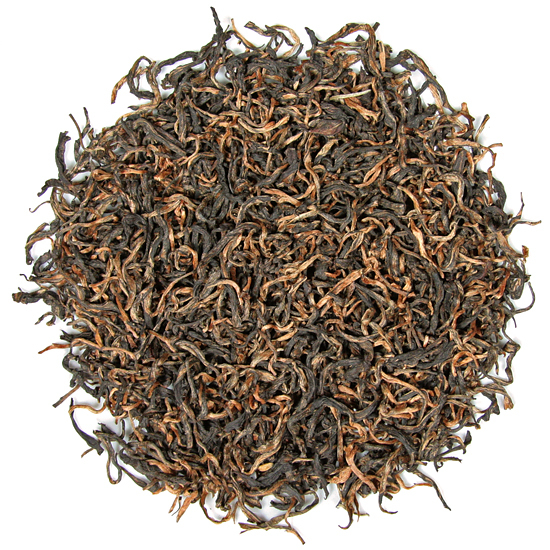 It is smooth (no astringency) and really quite full and rich in mouth-feel. It is most delicious and enjoyable in the cup now or do as we have done and set some aside for further resting and improvement.